Bactech helps you to understand and use complex IT security features such as Biometrics, Cryptography and electronic embedded systems such as Smart Cards. Bactech is proposing many trainings and consultancy services, participates to research projects, delivers academic courses to MS students and engineers. With more than fifteen years of experience in electronics and IT, especially in Smart Cards, our consultants may also help you to develop proof-of-concepts of your future products. Bactech is member of the French national body for standardization (Afnor) and participates to ISO SC37 (Biometrics), ISO SC27 (IT Security) and ISO SC17 (Identification Cards). Our consultants are effective in standardization for more than ten years now. 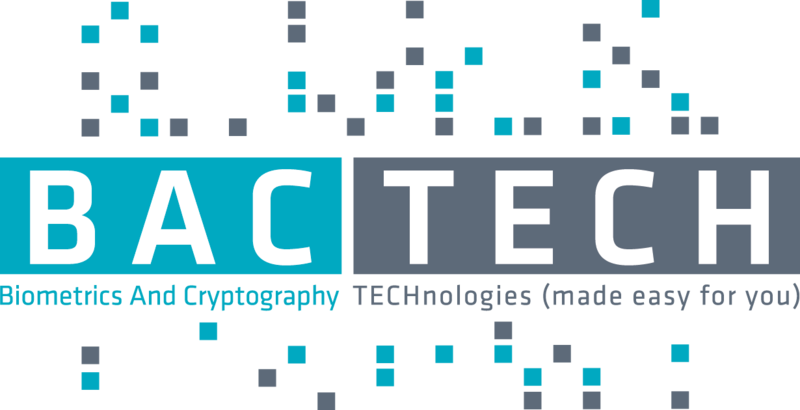 BACTECH - Biometrics and Security training, consulting, development and support.